The Open Data Center Alliance (ODCA) published a proof-of-concept (POC) paper that examines where the virtual machine (VM) industry currently is in meeting interoperability requirements outlined in the ODCA VM interoperability usage model. "The ODCA VM interoperability usage model has been adopted by many of our member companies as a core foundation for implementing their enterprise ready clouds and has been extremely instrumental in shaping new solutions from VM vendors," said Ryan Skipp, Portfolio and Solution Development at DTAG/T-Systems and Chair of the ODCA Manageability and Services Workgroup. "The POC paper released today is important because it clearly illustrates what industry needs to do next to advance interoperability based on ODCA VM interoperability requirements. Forecast 2013 is the perfect venue to bring hypervisor and VM solution providers together with industry to collaboratively address these pressing issues." ATIS has developed a framework for consistent and comprehensive cybersecurity design across multiple information and communications network technologies. The work has been submitted to the National Institute of Standards and Technology’s (NIST’s) Request for Information regarding cybersecurity. The framework, which was developed by the ATIS Technology and Operations (TOPS) Council, specifically addresses cyber-related design and implementation vulnerabilities in devices, networks and computing infrastructures. a reference architecture that provides a holistic view of all of the organization’s work areas to understand how cybersecurity can be an integral part of industry efforts throughout the ecosystem. 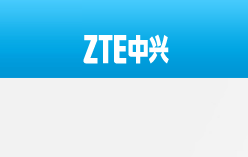 ZTE reported Q1 revenue of RMB18.09 billion, down 2.8% compared to a year ago. However, the company credited stringent efforts in cost control for improving its margins. Net profit attributable to shareholders of the parent company rose to RMB205 million in the first quarter, and basic earnings per share increased to RMB0.06. Operating cash flow in the first quarter significantly improved compared to a year earlier. This marks the second continuous quarter of improving margins. Since the second half of 2012, ZTE said it has stringently enforced measures to focus resources on key products and markets, target higher-margin contracts, improve cash flow management and reduce costs. The company achieved combined savings of RMB 350 million in selling, administration and research costs in the first quarter compared with a year earlier. Nokia Siemens Networks announced the appointment of Maria Varsellona as general counsel, effective July 1, 2013. Varsellona will report to CEO, Rajeev Suri, and join the company’s executive board. She will be based in Munich, Germany. Varsellona joins Nokia Siemens Networks from Tetra Pak, an 11 billion euro revenue company, where she was General Counsel overseeing global legal operations.